Who are the Globalists and what is a Globalist? The Globalist agenda is real and the Globalists themselves are the greatest threat to human civilization. Every day, more and more people are affected in some way, shape or form because of the Globalists and the Globalist agenda. In consideration of the entire Globalist plan, the Globalist ideology and other Globalist propaganda, I think it’s time to redefine what a Globalist is. “the Globalist movement is an alliance based on self-interests of the private international financiers and the royal, dynastic and hereditary land owning families of Britain, Europe and America which over the years have intermarried to create a self regenerating power structure that through lies and deception seeks to control everything and everyone”. Although this definition of who and what is s Globalist is true, I think the definition doesn’t go far enough to explain why the Globalists intend to bring forth the New World Order, why the Globalists exist and where the Globalists intend the global community to be in 50, 100 and 200 years. It’s also an appropriate time to evaluate the standard definition of who are the Globalists as the Globalists have now encroached in almost every country of the world. Up until 30 years ago, the Globalists only had an interest and presence in western countries and a limited number of African and Asian countries. The Globalists are a conglomerate of individuals, interest groups and large corporations who actively seek to eliminate all countries to create a global border-less society so that they can centralize, reduce and standardize all economies, production and the processing of natural resources so that they can directly control, manipulate and influence the decisions we make to ensure they maintain their power, control, wealth and historical influence. This new definition of who are the Globalists takes a broader view of why they exist and why and for what purpose do they seek to implement their Globalist agenda. As this definition if who are the Globalists is new, I would like to hear what your thoughts are and if you feel we can tweak the definition in any way. Globalism can be defined as a mode of thought deriving from the practice of thinking globally, both literally and figuratively. Globalism not only informs major trends within governance and economics, it also informs environmental issues, not least those related to global warming. It will be argued, using the example of the production of energy and power, that there may well be a built-in contradiction between globalism and the interests of landscape as the diverse place of people, polity and nature. This study, written by Kenneth Olwig, questions the effects upon the landscape of place and polity of a particular way of structuring the understanding of the world that has been termed ‘globalism’. Globalism implies an assumption that the Earth is a globe and that there is a scalar spatial relation between the global and the local. This is problematic, however, because the complex physical and social interactions that take place on the Earth cannot be reduced to the common denominator of scalar isotropic space. The problem, however, is not just one of static geometry, but also one of the temporal understanding of the cycle as a circular process. The hydrological and the carbon cycles take on enormous ideological power when conceptualized as circular processes linking the spheres of the heavens and the Earth. The most powerful form of the cycle as circle, however, is that embodied in the eschatological idea that the universe itself is doomed to a cyclical pattern of birth and apocalyptic death. The most problematic dimension of globalism may well be its implicit threat that if we do not think globally and act locally the globe is doomed. This can become a self-fulfilling prophecy, if it is allowed to determine environmental and social policies that oversimplify the shaping of the complex social and biotic realms that constitute the Earth’s landscapes. Though the globe is a static spatial form it has a temporal equivalent in the notion of the cycle. The word ‘cycle’ comes from late Latin cyclus and Greek kuklos, meaning ‘circle’. In Ptolemaic cosmography the heavenly bodies of the cosmic spheres moved in circular orbits appropriate to Plato’s notion of heavenly perfection. Even though the term ‘cycle’ today does not, strictly speaking, require circular movement in space, but rather just “a series of events that are regularly repeated in the same order” (NOAD, 2005, cycle), the connotations of circularity still adhere to the idea of the cycle. The imaginative power of this circular motion is reinforced by the circular shape of the global orb and the (apparently) circular orbits of the heavenly bodies. The hydrologic cycle is an ancient idea that gained authority during the Enlightenment with the rise of modern science at a time when it was also widely seen to reflect the teleological wisdom and purpose of God and Nature due to its circular motion linking the heavens with the Earth (Tuan, 1968). Scientists today no longer think of the hydrologic cycle as having such a simple structure (Linton, 2008), but the popular imagination is still informed by ideas in which cycle and circle are linked and give meaning and purpose to nature - as illustrated by the diagrams of giant circles of arrows linking heaven and Earth found in Gore’s Inconvenient Truth (Gore, 2006). In Globalist discourse, however, it is not water’s cleansing and refreshing cycle that is in focus, but the cycle of ‘carbon’ which is much less well understood, thereby opening the way for even more powerful imaginings of the carbon cycle’s cyclical/circular nature. When the carbon cycles are coupled with cataclysmic scenes of destruction, images can be called forth, if only subliminally, of Biblical Armageddon visions of flood and fire and other cyclical doomsday visions of history. Cyclical cosmography is related to a cyclical cosmology, which is concerned with the origin and development of the universe, and hence with both scientific and religious thought. The movement of the cosmic spheres was thereby linked to a circular teleological conception of history in which the world cycles between ages, each beginning and ending with revolutionary cataclysms. Similar ideas are found in apocalyptic cosmology, as exemplified by the Biblical diluvian flood and the fire next time, and in classical Greek thought (Lovejoy & Boas, 1935; Plato, 1961). This kind of apocalyptic thinking can also be found in the present-day concern with climate change which, as the anthropologist of science Joseph Masco has argued, has its origins in the fire next time imaginaries generated by atomic testing and the threat of atomic war. 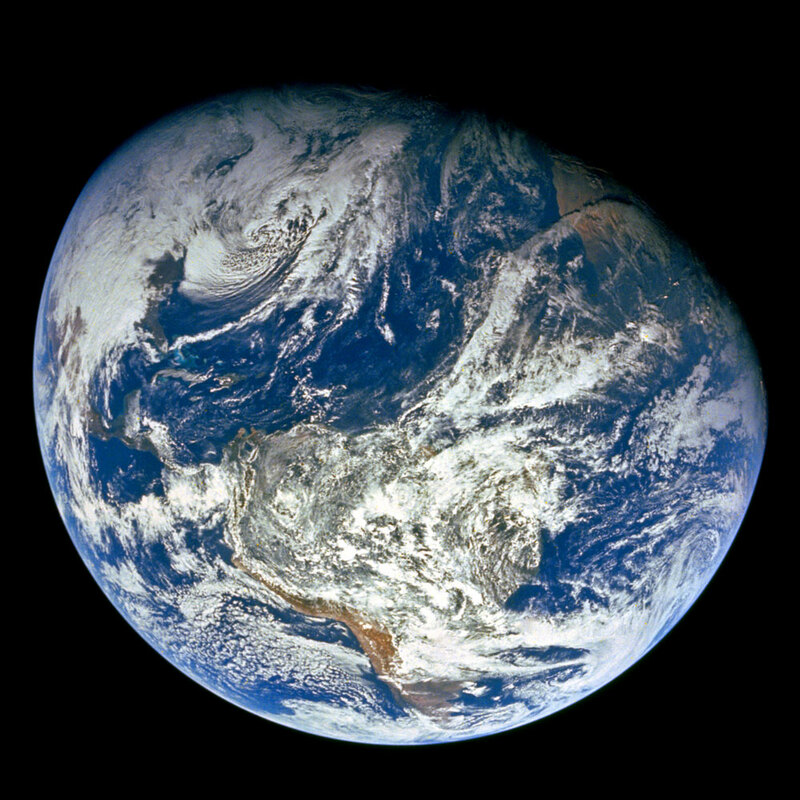 A nascent understanding of the impacts of technology on the biosphere was established, formulating the research questions that would ultimately inform a theory of climate change. Masco emphasizes, furthermore, that we are dealing with a globalism that has its roots in the literal figure of the map, the globe and its representation with the Apollo photographs of the Earth (Masco, 2010). The link between the apocalyptic imaginary and climate change gained its full power with the image of the ‘nuclear winter’ projected by some of America’s leading scientists, and which was compared to the imagined destruction of the age of the dinosaurs due to the literally global impact of an asteroid (Masco, 2010). The link between nuclear attack and environmental disaster, as Masco points out, persists for example in the discourses surrounding the efficacy of the US’s Homeland Security agency in the wake of Hurricane Katrina, and in innumerable Hollywood disaster movies. “This is by far the most terrifying film you will ever see”. The difficulty with the use of such imagery is that though it may prove effective in the short run in generating public concern, in the long run its playing upon global imaginaries of a mythic and gargantuan sort leads to a politics which demands equally gargantuan, and problematic, global solutions, such as huge atomic power plants, mega-sized wind turbines and climate engineering, such as that promoted by the skeptical environmentalist, Bjørn Lomborg. The nuclear winter generated by nuclear war was the expected outcome of huge fires, and the resultant black carboniferous smoke, blocking out the sun. 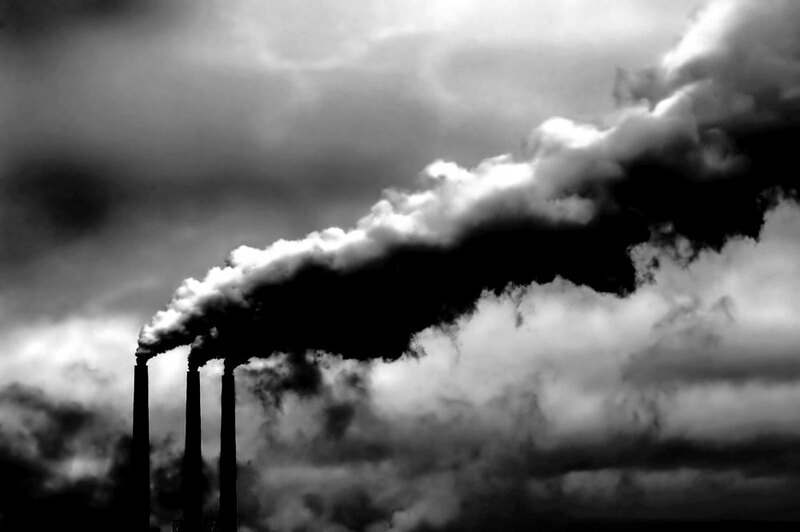 In present-day thinking this black smoke has been replaced by a ghostly invisible form of carbon, CO2, that has the reverse catastrophic effect of heating up the globe. Global warming thus becomes a question of the production of energy and power in an abstract global space. Globalist thinking thus emphasizes the production of energy and power leaving a carbon footprint in locations that can be pinpointed within a circulation net located within isotropic geometrical space that is scaled between the global and the local. Furthermore, with this emphasis and spatial structuring, Globalist discourse is also inevitably a discourse that elides the distinction between the power of energy in the sense of physics, and the globalized socio-political-economic power that accrues to those who control the production of power (Commoner, 1976). Globalist discourse has thus become a discourse of power, involving global conferences making global decisions backed by globalized political and economic power, which, as will be argued, can be against the interests of landscape understood to be the diverse place of a polity and its environs. These cases illustrate how the Globalist imaginary, and the power it helps generate, might conflict with the idea of landscape as framed in the ELC. recurrent tendency to centralize and industrialize energies, by and for the virtues of economies of scale or free market, so as to make them ‘Energy,’ a homogenous commodity that is more easily traded and transferred. The current rise of industrial wind power is illustrative of this. It is nowadays backed up by a global industry producing turbines which have grown in size and capacity so as to match the prevailing pattern of large scale plants producing hundreds or thousands of megawatts of electricity. “the incentives such as ‘fixed tariffs’ or ‘green certificates,’ which are set in place for fostering the development of new energies, generally do not account for landscapes”. Most of the assumptions and the (mathematical) economic models underlying the design of energy policies rely on the implicit assumption of an isotropic space, except for energy gradients (e.g. solar power, wind speed, tidal currents…). Landscape, by the virtue of its heterogeneity, is resisting the universality of these views. 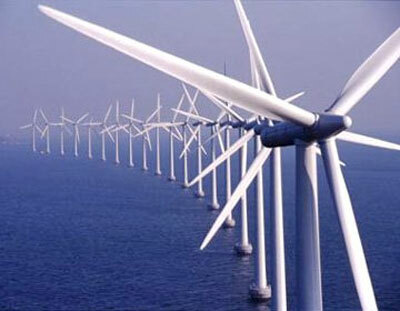 It introduces heterogeneity and uncertainty in the deployment of renewable energies. The basis for landscape’s ‘heterogeneity’ lies in the fact that its energy is not just something that is produced at certain localizable points of power. Landscape, as a social and material phenomenon, is energy and power (Mitchell, 2007). It is energy because the shaping of the material landscape requires the use of forms of energy ranging from the energy of thought and movement embodied in humans and animals to the energy embodied in the soil, in slopes, in drainage, in hedge and tree growth, etc. Once energy has become embodied in the landscape of a place through the activities of people and polities, for example, as a terraced field or a shelterbelt, it becomes a source of productive and consumptive energy for perhaps centuries. “can be invested or embodied in landscapes when they have been consumed in order to shape, to build or to maintain landscapes”. “In such cases,” they argue, “energies have become part of the landscape”. “the mechanical work and the trophic processes which endow landscapes with their current materiality. They are part of landscapes as a quality but they require measures, codes, norms and conventions to become perceptible”. The character of the use, non-use, conservation or storage of energy, as exemplified by the design, construction, insulation and placement of buildings in the landscape, is thus as critical to the health of the environment as the production of energy. “is generally the largest, least expensive, most benign, most quickly deployable” means of reducing energy related environmental threats, but it is also the “least visible, least understood, and most neglected way to provide energy services”.